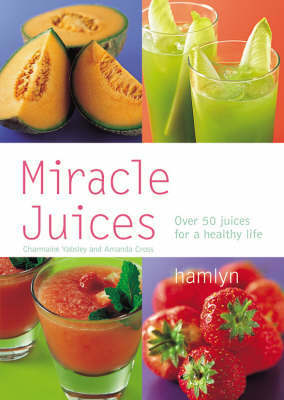 "Miracle Juices" contains over 40 nutritious juices recommended to combat specific ailments such as asthma and high blood pressure. Quick and easy to prepare, each juice is guaranteed to boost health and vitality. With nutritional analysis for every recipe, detailing the vitamin, mineral and calorie content of your chosen beverage, you can be sure that each miracle juice is helping to maintain a balanced and healthy diet. The Juice Diet: Lose 7 Lbs in Just 7 Days!